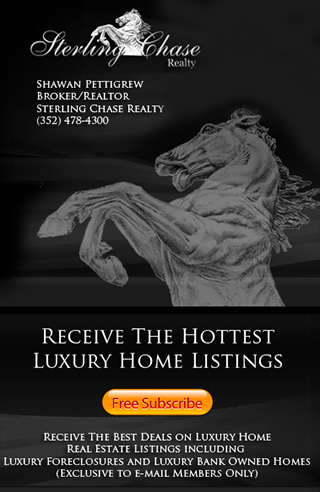 Sterling Chase Realty Is Central Florida's Premier Real Estate Company that provides professional real estate services throughout Central Florida's finest communities. Here you can Search Florida Luxury Homes for Sale and Luxury Real Estate Listings. View Multi Million Dollar Homes, Mega Mansions, Luxury Golf Communities, Waterfront & more!.